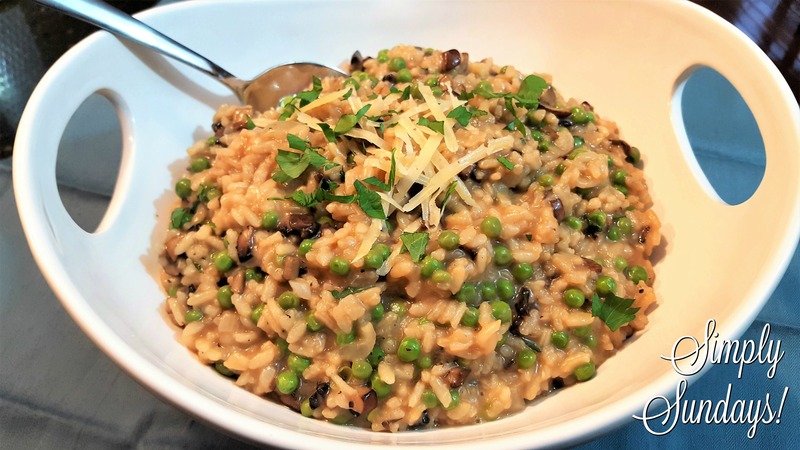 Creamy Mushroom & Pea Risotto – Simply Sundays! This is not the recipe you make while binge watching episodes of your favorite TV show! And who wants to get stuck with a bottle of mediocre wine to drink when there’s leftover!? I told you this was an active recipe! Peas defrost quickly enough in a strainer under lukewarm water – I’m not a fan of the microwave and generally resort back to old school methods – the way our Moms did it! And now your hard work will be rewarded with the delicious goodness of risotto! Today, our daughter brought the leftovers to school in her thermos for lunch! I always make risotto but never tried mushroom and peas! Will have to give this a go!! Let us know when you try it!